Nursing home abuse and neglect should never happen, but unfortunately they tend to happen frequently. If your loved one has suffered from abuse or neglect, know that there are better options out there for you. Our website was created to aid you in your efforts when combating against nursing home abuse and neglect. After reviewing our videos and listening to our podcast, we highly urge you to give us a call. We’re here to help. Neglect often occurs in nursing homes, when nurses fail to follow the proper procedures set forth by a resident’s physician. When this takes place, the reasonable standard of care that is required falters, causing negligence. Abuse is a serious offense that stems from an intentional act that causes harm to a resident. This can come from a nurse or another resident within the nursing home. When should I sue on behalf of my loved one? When your loved one is incapable or incapacitated, or passes away due to negligence or abuse on behalf of the nursing home, it is within your right to pursue legal action against the nursing home. Nursing homes must operate to a reasonable degree of care. When this care falls below reasonable standards, then the nursing home may be held liable. If the nursing home fails to provide any of these requirements to your loved one, and they are unable to fend for themselves, then you have the right to pursue legal action, as long as you have the proper authorization. In cases like this, it is best to speak to an attorney to see what routes you can take in pursuing legal action. Who regulates nursing facilities in Georgia? Healthcare Facility Regulation, – a division of the Georgia Department of Community health – regulates nursing homes in Georgia. This division also licenses, oversees, and inspects Georgia’s health care facilities. Within the Healthcare Facility Regulation, is the Office of Facility Licensure, which is responsible for licensing, certifying, and overseeing health care facilities and nursing homes within the state of Georgia. This office receives complaints, conducts investigations, and performs surveys. The Healthcare Facility Regulation also makes the process of finding a nursing home easier by having a comprehensive list of licensed nursing homes in the state of Georgia. This list also includes each nursing home’s location, and inspection report which are updated on a weekly basis. On their website you’ll also be able to find a complete record of state laws and regulations for nursing homes and health care facilities. Finally the Healthcare Facility Regulation holds nursing homes responsible for neglecting and abusing residents. We are Schenk Smith, your Statesboro nursing home lawyers. Our firm focuses solely on cases against nursing homes. We don’t practice any other form of law. With all of our efforts focused on cases against nursing homes, our guidance and knowledge can help make sure that you and your loved ones are able to recoup what’s rightfully yours. 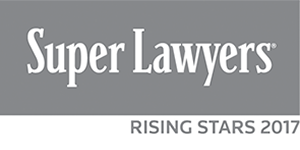 We are a highly regarded firm, as our attorneys have been selected as Georgia Super Lawyer Rising Stars. Our dedication stems from our founding attorney, Will Smith, who was a CNA in nursing homes in Georgia for 10 years prior to becoming an attorney. Our website was developed with the sole purpose of helping you find the answers to the questions you may have. After you’ve had the chance to watch our videos and listen to our podcast, please give us a call so that we can schedule a meeting and discuss your case. It doesn’t matter to us if you’re by the Charles H. Herty Pines Nature Preserve, the Statesboro Regional Library, or the Hanner Tennis Courts, we’ve got you. Nursing Home Abuse & Neglect in Statesboro, Georgia – What you need to know. Statesboro, Georgia is located in Bulloch Country, and has a population of 30,597 residents. Of that population, 7.20% are 65 and older. As with other parts in Georgia, elderly abuse and neglect occurs on a frequent basis. What are the symptoms of neglect? If you’ve seen any of these symptoms, then chances are neglect has taken place within your loved one’s nursing home. What bodily injuries occur the most in nursing homes? These are the most recognizable forms of bodily injuries. These can occur from a physical type of abuse or they can also occur when the nursing home fails to assist residents, or fail to make the nursing home safe for the residents. When nurses fail to follow the proper procedures and standards of a nursing home, bodily injuries usually occur. This can also include bedsores and other diseases if they nurses fail to monitor patients who are immobilized. Neglect occurs when the nursing home staff fails to follow the proper procedures set by the resident’s physician. It can also occur when the nursing home fails to train their staff. A lack of training can stem from lazy nurses, or the nursing home fail to hire the right staff. It takes a lot of patience to assist the elderly in a nursing home. Nurses are responsible for every aspect of the resident’s life. This means that nurses need to assist residents with their basic day-to-day functions, as well as making sure they’re being fed a proper diet. All nursing homes are required by law to provide a reasonable standard of care to their residents. When a nursing home fails to meet these requirements, negligence usually takes place. My loved one was hurt in a Statesboro nursing home – What do I do next? If your loved one was hurt, abused, or passed away at a Statesboro, Georgia nursing home, then we highly recommend that you take action in order to protect the rights of your loved one. The Georgia Department of Community Health, has a division that investigates complaints of abuse and neglect that occur in nursing homes. This division is known as The Healthcare Facility Regulation. This division also regulates and certifies all nursing homes within the state of Georgia. The Georgia Office of the Long-Term Care Ombudsman is another alternative you can use to file a complaint. Ombudsman are dedicated towards resolving issues and complaints from residents against nursing homes. They are also authorized by law to go into nursing homes and ask questions. If physical abuse or an assault has taken place from a nurse or a fellow resident, it’s in your best interest to call the police and file a report. Depending on the extent of the assault, charges may be brought against the perpetrator by the Bulloch County District Attorney’s Office. For abuse occurring in a Statesboro, Georgia nursing home, report the crime to the Police Department of Statesboro, Georgia or to the Bulloch Country Sheriff. Your family member doesn’t have to put up with negligence or abuse. You can search for another facility that is better suited to take care of your loved one. But searching for a better facility can be both difficult and time consuming. The first step you should take is to tour different facilities. When doing so it is imperative that you ask the right questions in order to get as much information as possible. The Centers for Medicare and Medicaid Services has created a website that contains scores for every nursing home within the state of Georgia that accepts Federal funding. These scores are based off quality, inspection scores, and their nurse-to-resident ratio. For your convenience, a list of all nursing homes located in Statesboro, Georgia are located below, along with their contact information and inspection scores. In the event that abuse or negligence has occurred and your loved one had to receive medical treatment, it’s imperative to view or obtain their medical records. The reason is because nursing homes will stop at nothing to place the blame on the resident rather than accepting responsibility when negligence or abuse has taken place. It doesn’t matter if all the evidence points towards the nursing home being at fault, most of the time they will deny any responsibility. For example, if a resident falls on a slippery floor and fractures their elbow, chances are the nursing home will claim that the elbow was already fractured. Investigating a claim against a nursing home requires medical documents which can be difficult for a spouse or relative to obtain. In order to obtain or view the medical records, the spouse or relative will need written authorization in the form of a power of attorney, a healthcare directive, or guardianship paperwork. If your loved one was injured in a Statesboro nursing home, then their medical records will more than likely be located at a hospital nearby. The contact information for these hospitals is listed below. If your loved one passes away, they still have the right to pursue a lawsuit. A deceased person’s right to pursue a lawsuit are handed over to the Estate. What this means is that rather than the lawsuit being from “James Williams”, the lawsuit will be from “The Estate of James Williams”. But before a suit can be filed, the Estate must first be established. The surviving spouse or relative must petition the Probate Court of the County in which the deceased spouse or relative passed. If you’ve encountered this scenario, it is in your best interest to setup an Estate immediately. In doing so, you will need to appoint a representative who is often referred to as an Executor or Administrator. This representative will act on behalf of the Estate, and they will be in charge of making all the decisions with regards to the lawsuit. Click here for the Probate Court of Bulloch County. There are no two nursing homes alike. Each have their own pros and cons. Here is a list of the nursing homes located in Statesboro, Georgia, along with relevant information for each. This information is taken from CMS’ Nursing Home Compare Website. Singular Focus and Dedication: At Schenk Smith, all of our efforts are 100% dedicated towards cases against nursing home neglect and abuse. Focusing on one specific area of law, makes us more knowledgeable about changes in the law. 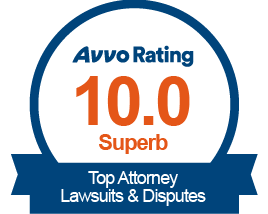 This means we have more experience than others when dealing with nursing home lawyers and nursing homes themselves. Highly Regarded: Our attorneys have been selected as Georgia Super Lawyer Rising Stars. This means that you’ll have top notch attorneys working for you. If you don’t believe us, check out our client testimonials, and see for yourself. Educators & Leaders: Our attorneys attend and lead legal education seminars dedicated towards nursing home abuse and care. Our attorneys are also members of senior citizen advocacy groups, which shows our dedication to our clients. If your loved one was injured or died in a Statesboro, Georgia nursing home, please call us at Schenk Smith (678) 823-7678 for a free consultation. You can also check out hundreds of video FAQs on our website.